Every Classification is Mississippi requires pre-approval. All applicants must submit a completed application to the State Licensing Board to obtain approval before testing. For additional licensing requirements including experience, financial and bonding requirements, exam information, reference books needed and reciprocity, please select the License link below. The Mississippi Business and Law Management license exam cannot stand alone. It must be combined with a contractor classification of some type. This license covers residential construction on 1 and 2 family units, not over 3 stories. Residential contractors may also construct, improve, repair, remodel, or renovate any commercial structure as long as it does not exceed 7,500 square feet. The Building Construction (Commercial) Contractor- NASCLA Accredited exam is for a Commercial Contractor License. The Mississippi Transmission/Distribution Lines license covers underground and overhead electrical transmission lines. The Mississippi Mechanical license covers all aspects of heating, cooling, refrigeration and associated equipment, and piping and ductwork, as well as plumbing. The Mississippi HVAC license covers all aspects of heating and cooling including fuel gas systems and appliances as well as associated equipment and ductwork. The Mississippi Refrigeration license covers unlimited commercial and industrial refrigeration. The Mississippi Plumbing license covers unlimited commercial and residential plumbing NOT including fuel gas or boiler systems. The Mississippi Alarm Systems and Equipment license covers unlimited fire, heat, intrusion detection, notification system installation, and maintenance. The Mississippi Fire Sprinkler license covers unlimited work with fire suppression systems. The Mississippi Boiler Installation and Repair license covers unlimited boilers, associated gas and steam piping installation, and repair – residential, commercial, and industrial. The Mississippi Cabinets and Millwork license covers cabinet construction and installation, millwork and associated finish carpentry work. The Mississippi Carpentry license covers unlimited carpentry, formwork, and related specialties. The Mississippi Communication Systems license covers low voltage electrical systems, except for alarms. The Mississippi Concrete license covers unlimited concrete work. The Mississippi Conveyor System license covers installation, maintenance, and repair of all types of conveying equipment. The Mississippi Ductwork license covers unlimited ductwork for heating, air conditioning, and ventilation. The Mississippi Elevators and Escalators license covers installation and repair of elevators and escalators. The Mississippi Excavation and Grading license covers clearing, grading, and excavation. The Mississippi Fueling Systems license covers installation of fuel dispensing systems and storage facilities. The Mississippi Glass, Glazing, Windows, and Skylights license is limited to flat glasswork in a residential or commercial setting. The Mississippi Heavy Construction license covers sewer, water and gas pipelines, grading and excavation, and paving and plant construction. The Mississippi Highway license covers roads, grading and excavation, highways, and bridges. The Mississippi Insulation license covers mechanical and duct insulation work. The Mississippi Irrigation Systems license covers unlimited irrigation systems and related components. The Mississippi Landscaping license covers unlimited landscaping, and planting and groundcover excluding irrigation. The Mississippi Lathing, Plastering, and Stucco license covers the installation of lath, plaster, drywall, stucco, and associated work. 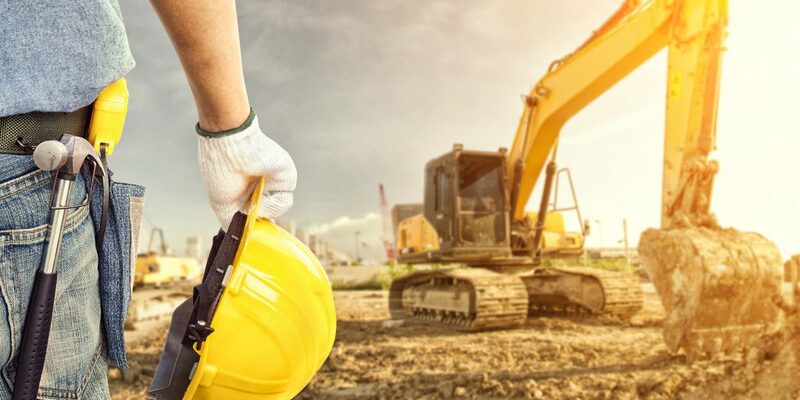 The Mississippi Municipal license covers water and sewer pipelines and plants, and associated excavation, grading, and paving. The Mississippi Process Piping license covers specialized and industrial piping installation and maintenance, including components. The Mississippi Remodeling license covers unlimited (structural) remodeling and repair work, excluding roof covering. The Mississippi Roofing, Sheet Metal, and Siding license covers unlimited roofing and siding installation and repair. The Mississippi Sign Erection license covers sign wiring, installation, and erection. The Mississippi Structural Steel license covers the placement and installation of structural and reinforcing steel. The Mississippi Swimming Pools license covers unlimited pool and spa installation, maintenance, and servicing, except for solar pool heating. The Mississippi Tile and Marble license covers surface preparation and application of stone, ceramic, or similar materials. The Mississippi Underground Utilities license covers water, sewer, and gas pipelines plus excavation, grading, and paving. The Mississippi Welding license covers unlimited welding work. The Mississippi Painting and Wall Covering license covers unlimited wall covering and surface preparation. American Contractors Exam Services offers an Online Practice Test for the Mississippi Municipal Utility Contractor License exam for $100. Our Online practice exam consist of an 77 question practice exam to help familiarize potential Mississippi questions.